Maui is a dream vacation destination any time of year. As temperatures start dropping nearly everywhere else in the U.S., Hawaii’s climate stays warm, sunny, and beautiful all year long. The beginning of November marks the start of whale watching season in Maui. Nothing compares to seeing a humpback whale break through the calm water and greet you with a wave of its fin. Whale watching tours are the perfect attraction for your entire family to enjoy! If you’re looking for more family-friendly ways to experience the island, download our complimentary Vacation Guide today! All the best restaurants, museums, theaters, and outdoor activities in Maui are just a click away! What Kind of Whales Can You See During Maui Whale Watching Season? Every November, the North Pacific Humpback Whales pass through Maui during their winter migration. If you want to witness the graceful movements of these great animals first-hand, whale watching season is the perfect time for you to visit Maui! Three different populations of whales, or “stocks,” migrate through Maui each season. Whale stocks from British Columbia and Alaska flock to the Hawaiian waters during the winter months, making Hawaii home to the largest humpback whale presence during peak season. Where else can you see a 40-foot-long, 40-ton animal breach the water right in front of your eyes? If you’re interested in learning more about the humpback whales you’ll be seeing, make sure to visit the National Marine Sanctuary! Based in Maui’s shallow warm waters, the sanctuary provides a hospitable environment for some of nature’s most magnificent animals. They are dedicated to protecting the humpback whales and preserving their natural environment. If you step outside the Marine Sanctuary Visitor Center, you can see these magnificent creatures in action! One of the best ways to see as many whales as possible in a single day is to sign up for a whale watching tour! Need help deciding which one is best for you and your family? Here are a few of our favorites. Sunrise is the best time of day to see whales in Maui. Seize the day by watching humpback whales dance against the backdrop of a glorious, golden sunrise. By booking a sunrise whale watch, you could be one of the first to have a Maui whale sighting this season! Maui Kayak Adventures offers their very own whale watch tour. This experience is perfect for adventurers who want to get as close as possible to Maui’s marine life. Imagine watching a humpback whale glide under your kayak or feel the vibrations from a whale song traveling through the water. You don’t want to miss out on this! One of the most interactive tours available is the Pride of Maui Snorkel Tour. Dive in and swim alongside these majestic animals for a truly once-in-a-lifetime experience. The tour also includes a BBQ lunch, an open bar, and all the snorkel gear you’ll need! Snorkel tours, beginning December 1st, are a must-do activity in Maui in December. Tip: We always recommend booking tours online for the lowest prices. 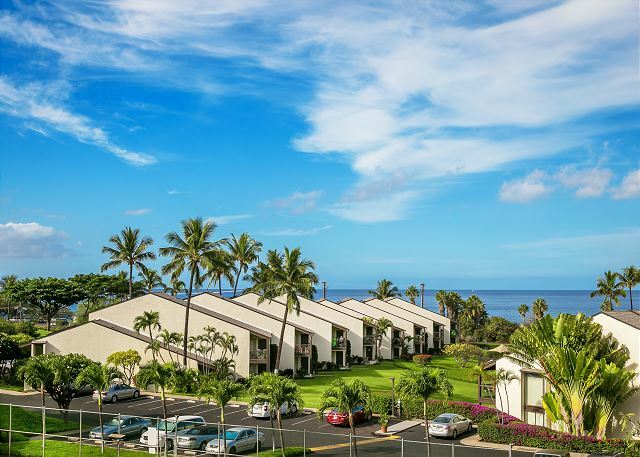 To ensure that the rest of your vacation is as extraordinary as your whale watching experience, book your stay at PMI Maui. 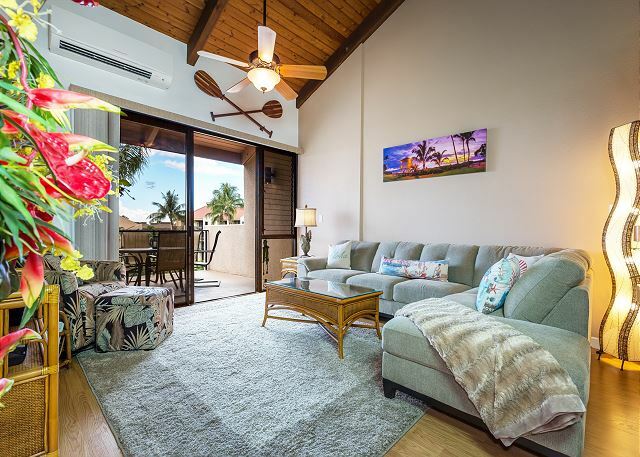 Our beautiful vacation rentals have stunning views of the Hawaiian shore and are perfect for all travelers to the island. Planning to bring the family on your Hawaiian adventure? 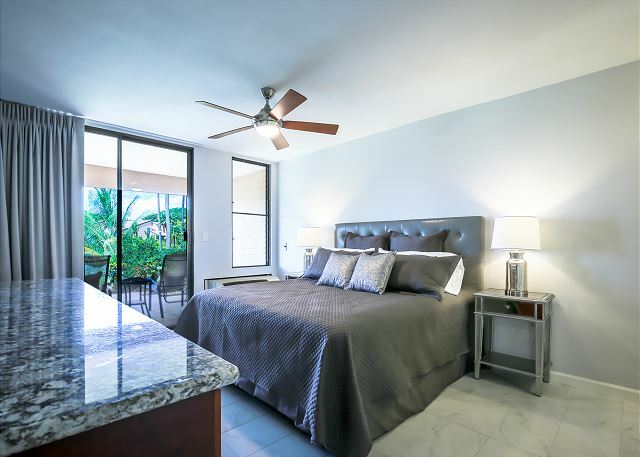 Our Hale Kamaole 4-334 property is made for you! 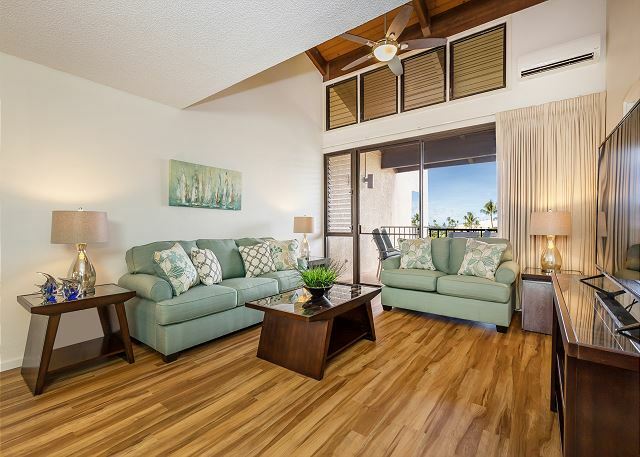 Just across the street from Kamaole Beach, this two-bedroom condo comfortably sleeps six. 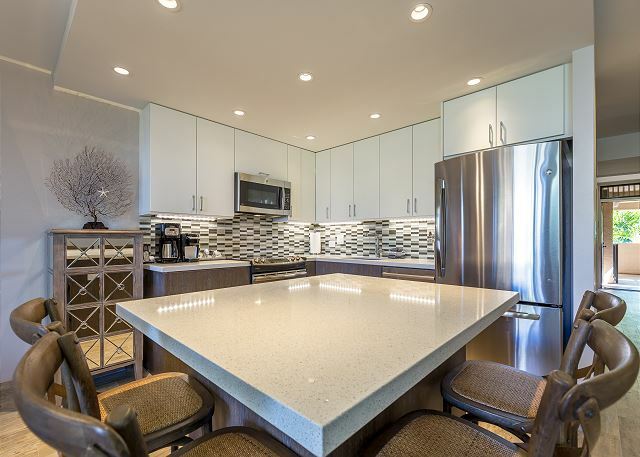 Adults will love the fully-stocked kitchen and BBQ areas. Kids will delight in jumping into the two pools on the property and snuggling up in the loft at night. Why wait? Grab a boogie board and book today!